I’m a huge fan of eggs; you know this. To me, a perfectly fried egg on sourdough toast is the epitome of deliciousness. The crispy caramelized white shatters like glass and the thickened, but runny, yolk soaks into the bread like gravy. 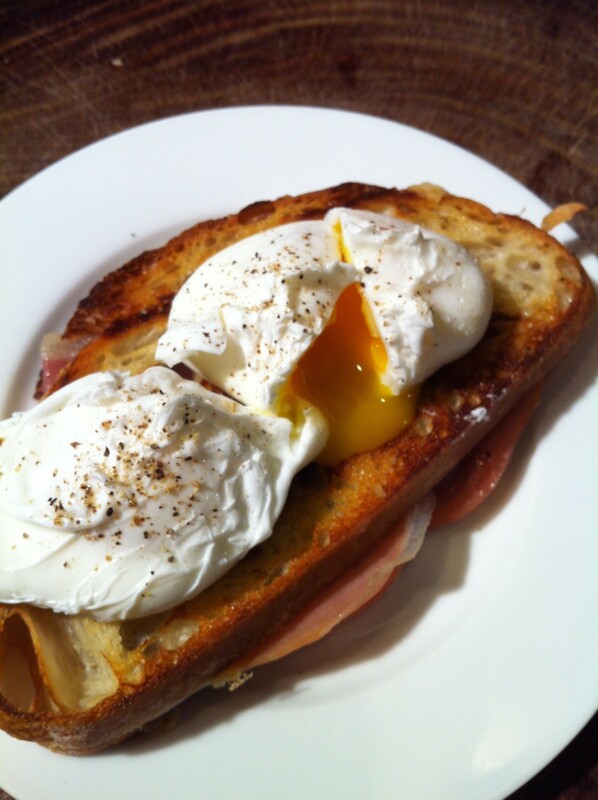 But my once and only true love has recently been usurped by one better: poached eggs on toast. Where a fried egg has crispy whites, which add texture but are somewhat boring, the poached egg has a luxuriously silky white that is almost like custard. And where the perfect fried yolk is difficult to obtain, always either too runny or too cooked, the perfect poached yolk is a mere matter of timing. Once you find that sweet spot your yolks are perfect forever. lu-na-tic [loo-nuh-tik] –noun 1. an insane person. 2. a person whose actions and manner are marked by extreme eccentricity or recklessness.